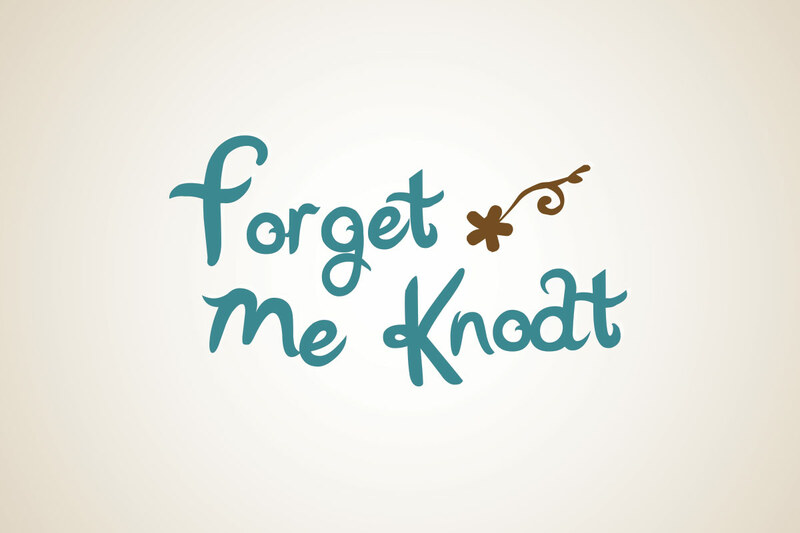 I developed branding for Forget Me Knodt, a floral design studio. 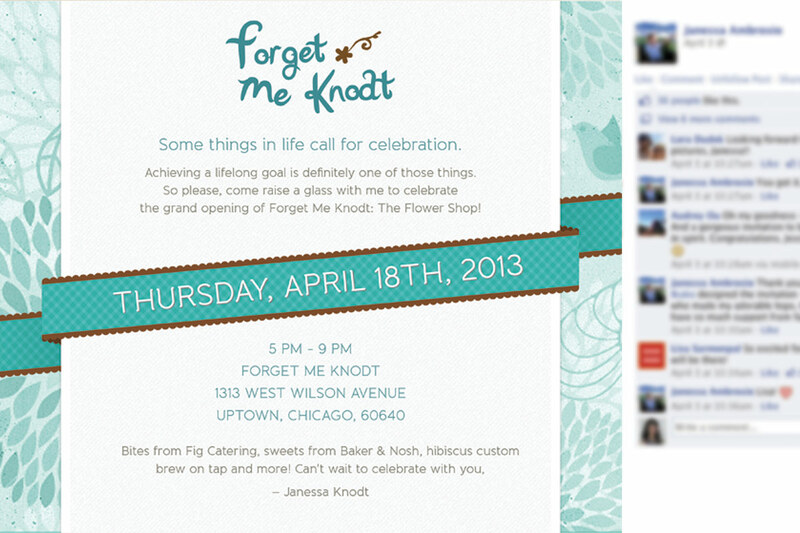 I designed the brand identity, website, and store opening invitation, store signage, and more. 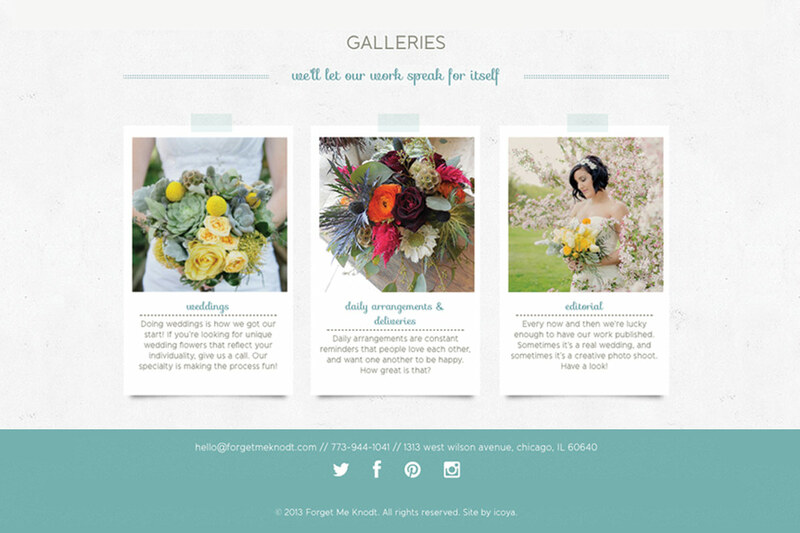 The studio founder, Janessa Knodt, is a lovely, energetic and friendly person. 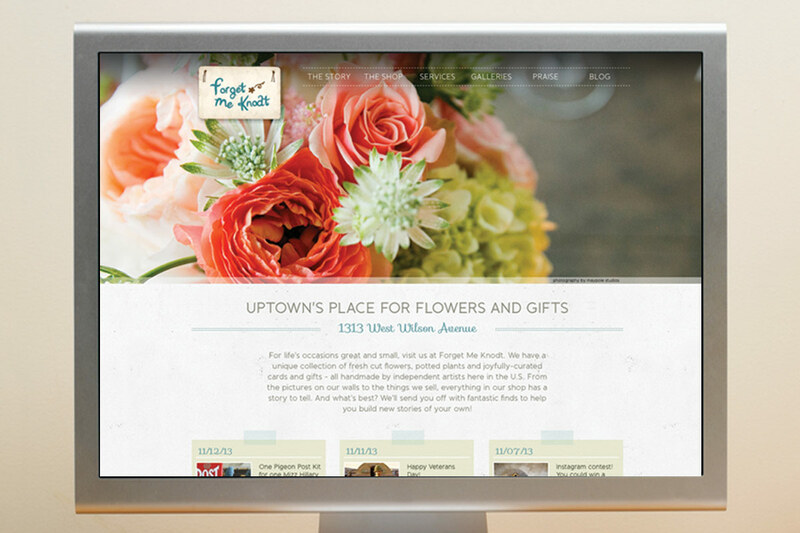 She was the face of the brand, and the branding successfully reflects her vibrant personality.